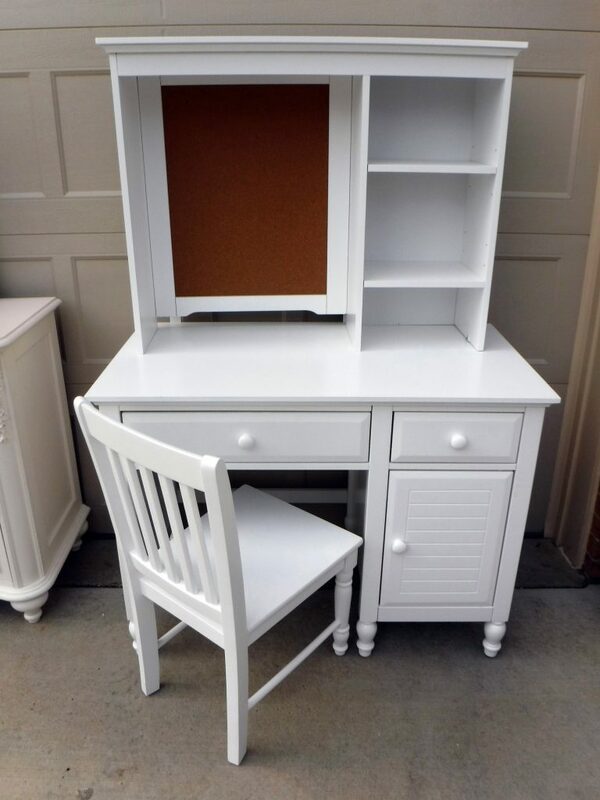 #4831A Small white desk with open bulletin board space and book shelf hutch, and matching chair. Can be sold seperate from bedroom set. For more information, please call us at 412-771-6667.